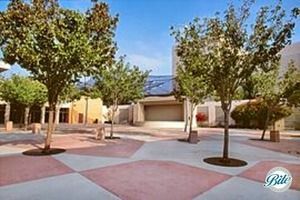 Located at the heart of the South Bay, the Torrance Cultural Arts Center combines modern design and natural beauty into a unique multi-purpose complex. 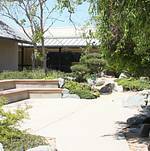 Built for convenience and diversity, the Center houses meeting and banquet rooms, visual and performing arts studios, a 502-seat theatre, two spacious outdoor plazas, and an authentic Japanese garden. 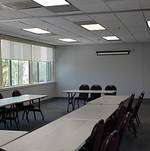 This versatile environment allows groups to utilize a variety of accommodations to enhance the atmosphere of any event, from business meetings to social gatherings. 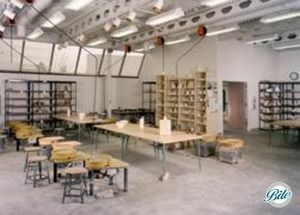 The PERFORMING AND VISUAL ARTS STUDIOS house specially equipped art, design, crafts, dance and exercise studios for both adult and children's classes. 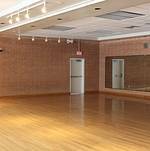 The dance/exercise studios feature sprung floors, exercise mats, ballet bars and mirrored walls, while the visual arts studios are outfitted with a variety of specialized equipment for various mediums. Fully equipped with flexible lighting, sound, and stage features, the 502-seat JAMES R. ARMSTRONG THEATRE hosts all varieties of professional and community productions, as well as large-scale meetings, film screenings, and seminars. 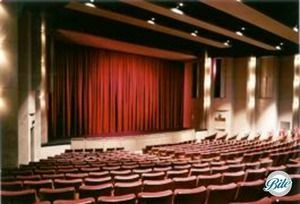 The auditorium's plush seating and superior acoustics ensure quality entertainment from every seat in the house, while the extensive backstage scene shop and dressing rooms provide critical resources for performing groups. 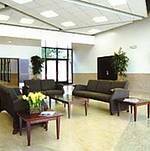 Lobby area with full amenities, including a curved marble counter for food service with adjacent refrigeration units, restrooms, and public telephones. When the James R. Armstrong Theatre is not occupied by a performance, the dignified architecture of the lobby creates an impressive setting for social gatherings and small business events. 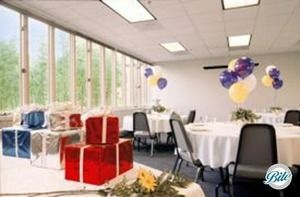 With seating for up to 50 people, the GARDEN ROOMS provide an ideal location for meetings, seminars, workshops, small receptions, bridal showers, or a breakout room for larger events. Overlooking the Pine Wind Garden, the scenic views from the room windows enhance the atmosphere of both business and social gatherings. A custom wall divider and two separate entrances allow the Garden Rooms to be utilized simultaneously by different groups, or as a preparation space for wedding parties holding their ceremonies at the Center. 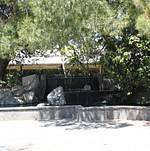 Rental of the Garden rooms is on an hourly basis with a 2 hour minimum. One of the most versatile facilities at the Center, the uniquely designed GEORGE NAKANO THEATRE is accented by an acoustically tempered ceiling and a full lighting grid. 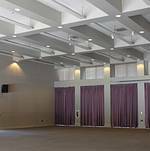 With four sets of retractable velour drapes, this flexible space can be arranged in nearly any direction for theatrical performances, business events, or social functions. Seating for up to 180 people and an optional tiered riser system make this room especially suited for mid-sized groups and events that require specialized audience configurations. Room can be rented on an hourly basis. 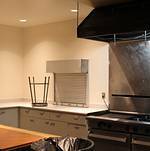 Renovated in 2005, the KEN MILLER RECREATION CENTER offers community, commercial, and private groups a convenient and affordable event location. 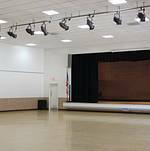 The 3,100 square foot Auditorium (with built-in stage) accommodates groups of up to 325 people for dancing, 250 for theatre-style seating, 210 for dining, and 180 for dining and dancing. 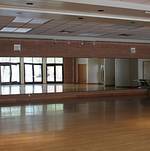 The Auditorium is ideal for parties, dances, receptions, small stage performances, and trade or guild shows. 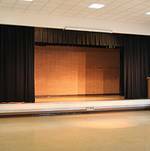 Limited stage lighting and a basic audio system are available upon request. 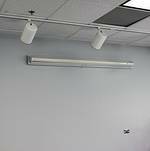 The 2,000 square foot Assembly Room is equipped with hardwood floors, track-lighting, and a built-in wall divider that can separate the room to create two independent areas. Use of both areas simultaneously accommodates 140 people for theater-style seating, 100 for dining, or 80 for dining and dancing. 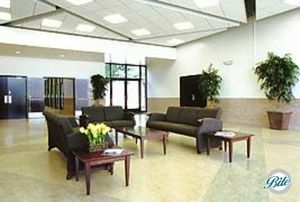 The Auditorium and Assembly Room are connected by a lobby area and kitchen. 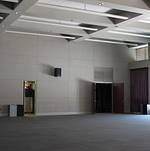 The use of an upright piano and/or audiovisual equipment may be requested for both the Auditorium and Assembly Room. Room can be rented on an hourly basis. 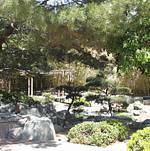 The PINE WIND GARDEN is a tranquil setting for wedding ceremonies or restful intermissions during other events. 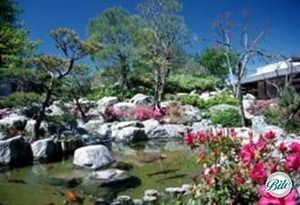 When used in conjunction with other Center facilities, the Garden adds a charming highlight to any occasion. Its aesthetic scenery also makes a picturesque backdrop for group or individual photography. 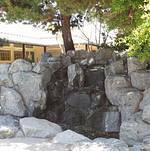 The Garden includes authentic Japanese landscaping and architecture, including a waterfall, koi pond, and stone pathways and a two-tiered amphitheater with seating for up to 25 people. When additional chairs are added the total seating capacity in the garden is 60 people. 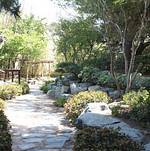 The garden can be rented on an hourly basis. 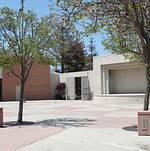 The 14,000 square foot TORINO FESTIVAL PLAZA is an attractive outdoor setting for festivals, performances, exhibits, or receptions taking place in the adjacent James R. Armstrong Theatre, Toyota Meeting Hall and Ken Miller Recreation Center. It includes a 36 x 22 foot semi-circular, open air, elevated concrete stage with proscenium, two entrances and crossover passage. 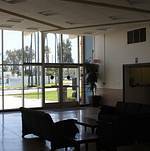 Use of the Torino Plaza is included when you rent the Toyota Meeting Hall, Recreation Assembly Room, or Ken Miller Recreation Center. 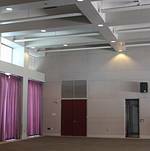 Simple elegance and modern design make the TOYOTA MEETING HALL a premier site for events that require a higher standard of refinement. Its spacious capacity accommodates up to 350 people for theater-style seating, 300 for dining, 250 for dining and dancing, and 220 for seminars. Flexible equipment and furnishings can be customized to meet the needs of any event, whether it be a wedding, banquet, reception, seminar, trade show, or business meeting. Rental of the room includes an eight hour block minimum. 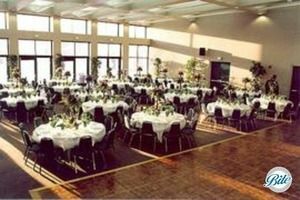 Event Manager provided by the Center for any venue-related needs on the day of your event. 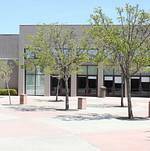 Residents of Torrance are eligible for discounted pricing of the venue spaces. 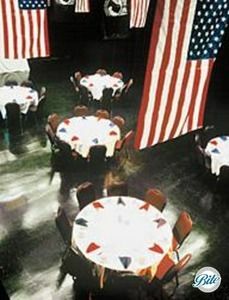 The Center offers the following furniture and equipment for events: Tables, Chairs, Risers, Dance Floor, TV/VCR/DVD, Dry Erase Board, Podium, Overhead Projector, Coffee Pots, Easel, Piano, Music Stands, LCD Projector, Projector Screen, Flip Charts, Beverage Warmers, and Microphone for event use. (All furniture and equipment requested is subject to availability. If you would like to promote your event, the Center offers listings of events in their event calendar, which is distributed to the public and media. The Cultural Arts Center closes at midnight. All events must be cleaned up and out of the building by midnight. 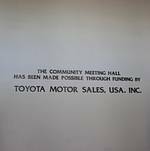 The Center requires the use of a licensed caterer for the Toyota Meeting Hall. For events serving alcohol, the Center allows beer, wine, or champagne only. Bar beverage company must have an offsite liquor license permit. Alcohol service time frame is between 2-5 hours. Two police officers must be on site during event hours. Candles must be in a non-flammable container that is taller than the flame. 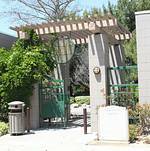 Amplified outdoor sound requires you to obtain a permit from the City's Business License Division. Explore Catering Your Torrance Cultural Arts Center Event with Bite Catering Couture!